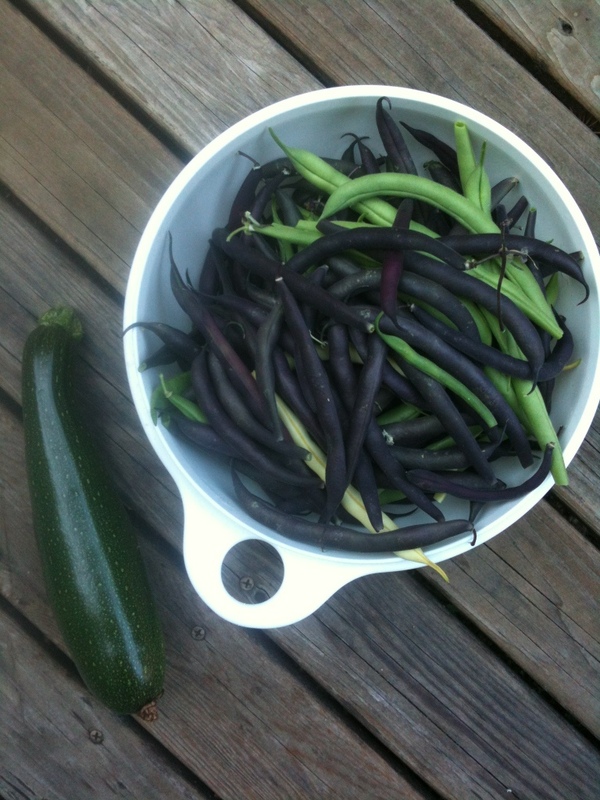 Harvested two pounds of bush beans today- I always plant a tri-color mix of purple, green, and yellow. The greens are my favorite because they stay sweet even when they’re big. The purples get kind of bland, and the yellows are over-ripe and tough pretty fast. Half these beans will be dinner tonight, the other half is in the fridge pickling. 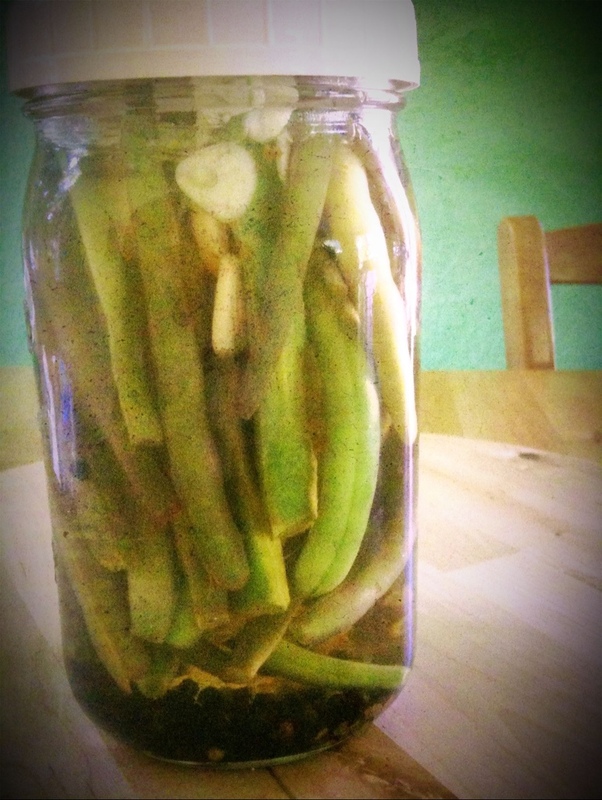 I used the spicy pickled green beans recipe from the latest Everyday Food. I adore that little magazine- it’s the only magazine I save every copy. Oh yes. And another zucchini. I have never ever managed to grow zucchini, so I’m rather proud of myself!